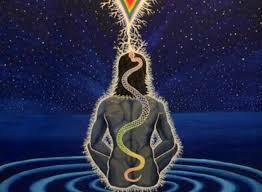 There are several ways to awaken your kundalini. One is through practiced meditation and breath work and the other is what is referred to as a spontaneous awakening. Personally I do not believe that any of them are accidental. 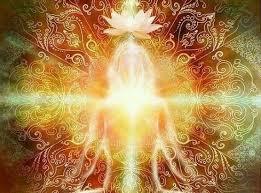 The timing is right and your spirit has summoned the kundalini to rise. This explains why there are monks who meditate their entire lives to raise their kundalini yet never have it happen. That being said, give yourself some of the credit for this this rising whether it is from this life or a past life. A kundalini rising is very connected to our chakras, these energy centers carry our life experiences and can show us where we are holding negative energy. Undoubtedly you have seen people who carry a lot of stress in their shoulders, this is related to their heart chakra. Others have hip problems or female issues that are associated with their sacral chakra. As the kundalini rises it punctures each one of these energy centers and clears out all the held emotions and karma residing in them. That is in a perfect world, but at times the blockages are so deep that the kundalini can’t get through, it can veer off and you can have a partial rising. This can be uncomfortable and a lot of emotions can be unbalanced because of it. I personally experienced this when mine rose for the first time. I say first time because it does happen repeatedly. It can be years in between, but when it comes back you will be very familiar with how it sounds and feels. Doing a chakra meditation and focusing on clearing out any stuck energy from your chakras can help the kundalini find it’s way through. As you regularly do a chakra meditation you will begin to be very sensitive to where blockages are. As you go through each energy center and breath into them you will feel a very heavy pulse in areas where the energy is building up and not able to pass through. Stay on this center and give it added attention in your meditations until that feeling dissipates. Don’t be surprised if you do have another kundalini rising experience. The second time mine happened it came down through the crown instead of up from the bottom. The loud noise and sound was the same so I knew what it was. Check out my website at Your pain is my pain and read the articles on Kundalini Rising and Chakras and How They Affect Your Destiny. These may give you some added insight about kundalini rising.